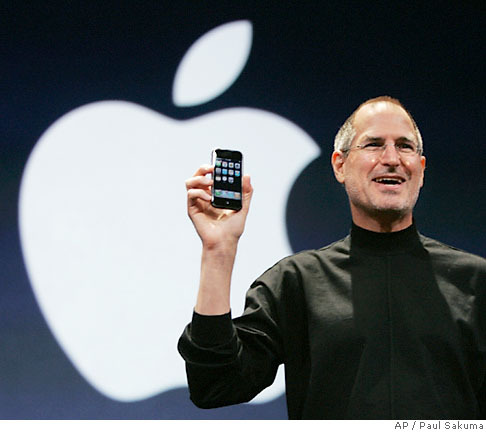 SEATTLE — Apple Inc. Chief Executive Steve Jobs was paid his customary $1 annual salary in 2009, but Apple’s strength through a rough economic climate returned the value of his personal holdings in the company to pre-meltdown levels. Jobs does not get a bonus or reimbursement for perks many other CEOs accept, such as personal security, according to a regulatory filing made Wednesday. Apple said it reimbursed Jobs $4,000 for company travel on his $90 million Gulfstream V jet, which he received as a bonus in 1999. That’s far less than the $871,000 Apple reimbursed Jobs in 2008. The CEO took nearly six months off in 2009 for medical leave, during which time he received a liver transplant. He returned to work at the company’s Cupertino, Calif., headquarters part-time at the end of June. Jobs, 54, holds 5.5 million shares of Apple’s stock. He has not sold any shares since he rejoined the company in 1997, nor has he been awarded any new equity since 2003.